After spending the first 23 years of my life in Georgia, I am happy to finally be branching out and starting to see the world. A year ago I moved to Boston with my boyfriend and catty. Since moving here we've taken a handful of mini weekend trips that have allowed us to visit a lot of inspiring places throughout New England. Now is the time that we really get to experience something new. Soon after starting our life together, my boyfriend and I decided that our goal was to take at least 1 domestic trip and 1 international trip each year. The "big" domestic trip each year is visiting our families for Christmas (they all live over 1,000 miles away). Luckily, the international trips are free game and we can go wherever we want to. Initially, the goal for our international travels was to be as cheap as possible, 'cause - holy crap! - plane tickets to another continent are expensive! 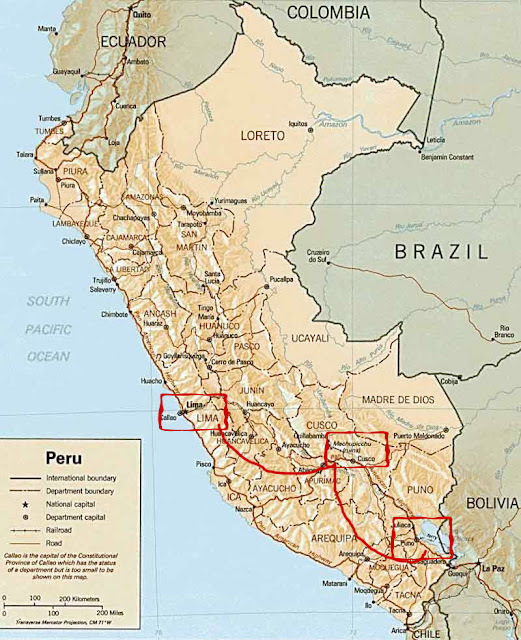 So, for our first trip we picked Peru, because it's an inexpensive country to visit right? Also, my vote for Peru was heavily influenced by the movie, Diarios de Motocicleta. As I am the one who has the greater interest in traveling, our first international trip has been completely planned by me. So far, I am a horrible planner because this trip is costing me waaaaay more than I had planned. I booked the trip for the dates that I could get the cheapest plane tickets to Peru. Like a complete idiot, I didn't factor in all the other transportation costs. While in Peru we want to visit 2 places: Machu Picchu and Lake Titicaca. 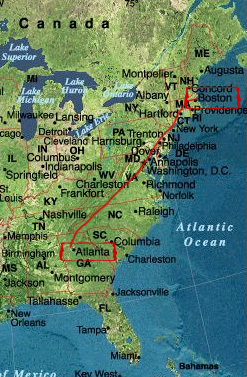 Here is an exaggerated logistical scenario that is similar to how our trip will go: You want to visit New Orleans and NYC, but you are flying into LAX from out of the country. You only have 1 week to see the sights. So, for most of our Peru trip we will be traveling on planes, trains, buses, and boats just to see these 2 places. Anyway! We leave for Peru in almost 2 weeks and hopefully all goes well, we have a good time, blah, blah, blah. Peru = Our 2011 International trip. My boyfriend is planning next year's trip to Japan. The dates he's chosen coincide with the 2012 Tanteidan Origami Convention in Japan (since origami is his thang). I have over a year before I should have it narrowed down, so I have plenty of time to make sadistically thorough spreadsheets of comparison between all the possible locations for 2013's trip. I am SO open to suggestions if anyone knows a neat place to visit outside the USA. Peru!!! I also really want to go there. It will be an experience of a lifetime. I hope you enjoy it.